Two years ago, when we renewed our cell phone contracts, we added unlimited texting. Until then, we scoffed at the need to text anyone. As our use of social media expanded, though, sending status updates on the go seemed more and more doable. Plus, the ability to send photos to people on the fly was just too tempting. So we bit the bullet and upgraded from simple flip phones to more complex texting-capable phones. Still, we decided against getting smart phones. While it would have been nice, we balked at paying an extra $30 per phone per month. However, as the months passed, smartphones were talked about more and more. People were getting them, posting social media updates from them, taking photos from them, checking e-mail from them, playing games on them, and browsing the web with them. I have to admit that I began to get some tech-envy. Part of me felt like a fraud. Here I am, TechyDad, and I didn’t have the latest and greatest technology in my hands. My "why would I ever need this" attitude was giving way to "I really, really want this." I also began hearing rumors about family data plans coming. Instead of paying $30 per device per month and getting a set number of gigabytes for each phone, you would pay a certain amount and share your data across all phones. This seemed like the ideal plan, so we watched and waited. Then, B won a smartphone. And we were invited to the 2012 Disney Social Media Celebration. Suddenly, we began to wonder about how long we could hold out. The rumors of family data plans persisted, but nothing concrete was emerging. (The latest is maybe in the summer… perhaps.) We began to explore providers and plans. After this past weekend, we believe we’ve made our decision. There are a few more pieces to get into place, but we are officially smartphone bound. A whole new world of technology is about to be opened to us. Here’s hoping my final "non-smartphone" week passes quickly. 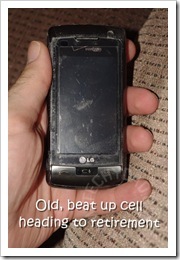 My first smartphone was a T-Mobile Dash (Windows OS), which I purchased in September of 2007. 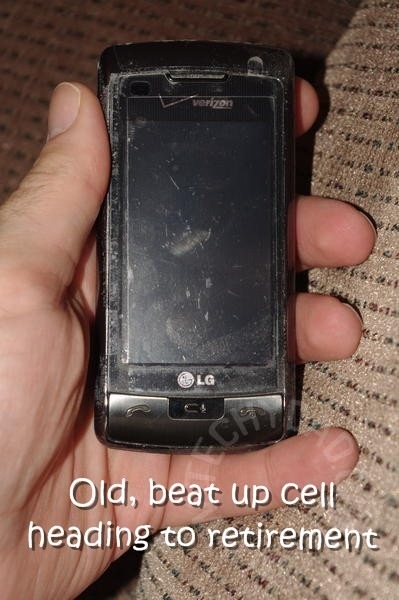 I moved on to my first Android phone (T-Mobile G1) in January of 2008. And here I am, four years later…still with a smartphone, my fifth Android-based one, I think. I love, love love smartphones, and couldn’t imagine not having one. You’ll seriously love having one, too. I can’t imagine how you held out this long!